Let’s start off with the basics..what exactly is keyword research? Keyword research is the process of looking through search engine data for words, or phrases that people have entered while performing a search. Every time someone types words into Google for example, that data is collected. Google allows us (limited) access to this collection of keyword data for SEO and marketing purposes. Don’t worry, we don’t see who has typed what, but we can see on an aggregate scale of how many times certain words or phrases have been typed into Google within a certain time period. Search engine optimization professionals sort through this search phrase data which can provide us with the knowledge of what people are looking for, and can give us ideas on what new content we can add to a site that might be popular. Finding the best keywords depends on the goal of what you are trying to accomplish. If you are trying to find new ideas for your blog, then looking at search engine autofill data (or use a tool that collects autocompletion data) might be most helpful. If you are looking for which topic is more popular in general, then you might want to use Google Trends. If you want to know which ideas and specific keywords to prioritize for a new blog article for your site, then the Google Keyword Planner will be useful for that. Keyword competition is a measure of how difficult it will be to create a site or page that will rank well using that keyword (phrase) as it’s main focus. The competition for a keyword phrase depends on factors such as how popular the keyword is and industry competition. Competitive keyword analysis plays an important part of a search optimization strategy. 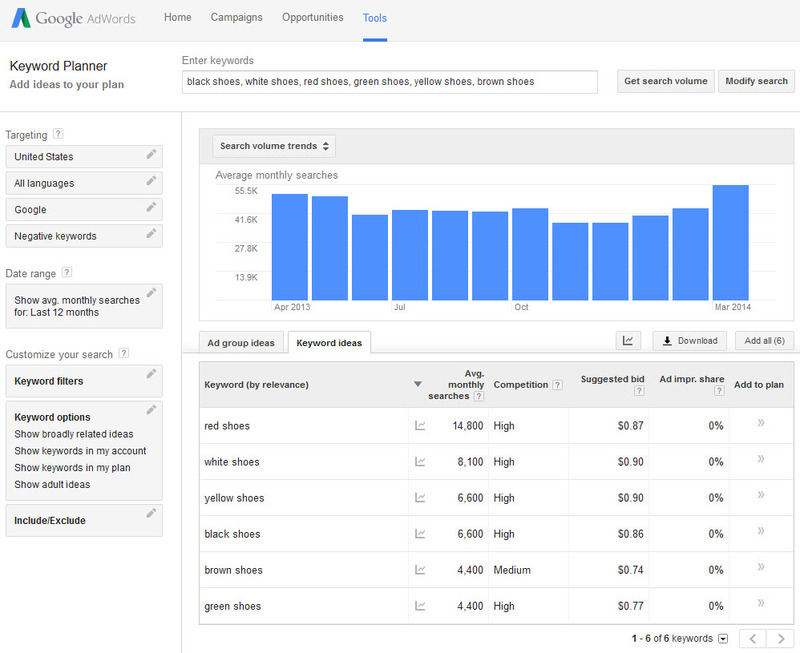 It allows you to understanding who your competitors are which keywords they are optimizing for. Keyword research is usually one of the first tasks to undertake when optimizing a site. What are the most popular phrases that people use when looking for a product or service that you provide? Are there phrases that people are using that we didn’t know about? What are related words that we can use in our optimization process to strengthen the content of a site? Using the Google Search Console for example, we can see what search terms your site is currently being displayed for in the organic search results. We can use this list to give us an idea of what keyword phrases your site is currently doing well in and which terms you are not ranking well for. Knowing what your customers or clients are looking for is powerful information, information that an SEO consultant can help you with. As an SEO professional, I have access to data that you probably do not have access to. On top of that, I work with keywords and their rankings every day and have developed expert knowledge in how to sort through the data to find those important gems that will generate a positive ROI for you business. The strength of internet marketing and SEO is using the massive amounts of data that is collected everyday. I encourage you to contact me so that I can use this information to help your business grow.